From mythology and religion in the times of norse gods and tapestries, we have had a continued fascination with trees. As they dominated our daily lives we made homes amongst them and treehouses in them. They are the stuff of fiction and wild imaginations and for a lucky few they become tangible play and leisure spaces. We have a look at some iconic treehouses and the stories that inspired them. The weirwoods in the popular Game of Thrones are sacred trees. 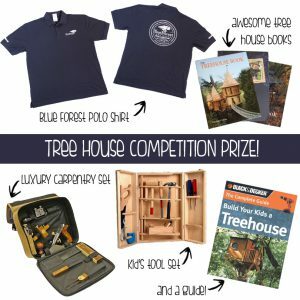 Blue Forest have built numerous treehouses that have been influenced by not only the surrounding landscape but the stories for which they are named. The Sleepy Hollow Tree House is named after the famous story of Sleepy Hollow and matches the secluded darkness of the woods in its design with quirky shapes, while retaining a refined beauty and practicality. The realm of the fairytale has lived in the hearts of children and adults since before the written word. 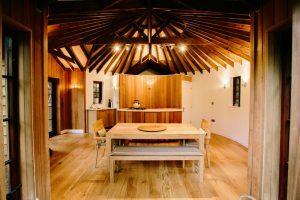 The Birr Castle Tree House allows the children it was built for to ascend to new heights and play at being Kings and Queens or Princes and Princesses in their play area. To discover a mysterious castle among the trees paints a picture of exhilaration and wonder. Since then, trees have featured prominently in mythology, often as symbols of the earth, showing life and strength as they grow and renew with each year and live for hundreds more. In Norse mythology, one such tree is Yggdrasil whose branches reached to the heavens. Naturally, this prevalence led to the continued use of trees in storytelling, whether in books, on television shows or films, even in video games, the use and roles of trees echoes their continued impressions on world culture and understanding. 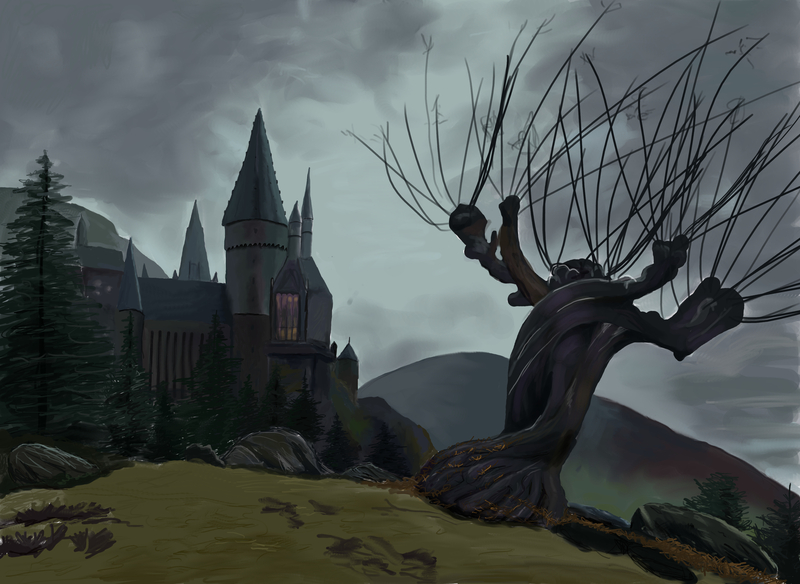 Harry Potter’s Whomping Willow has a mind of its own. Image by LovelyHufflePuff. 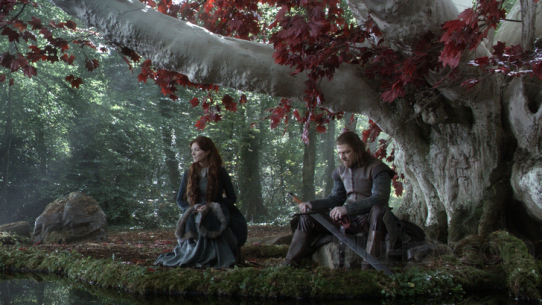 As a very contemporary reference, symbolic trees in fiction appear in the hugely popular Game of Thrones universe. A white-barked Weirwood tree features in Brann’s visions as a marker of his future (his next destination). Beyond their symbolic appearances and representations, trees have quite literally taken on a life of their own. In the Harry Potter series, The Whomping Willow acts with a discerning mind. It has not only stood for many years but it defends itself from those that might harm it by…well, whomping them. Several characters in the book even make unconventional use of the tree. As they are unable to build a fort within the tree’s branches, they instead find a route beneath the roots to a secret hideout. The small den that the students of Hogwarts utilise pales in comparison to a grand tree figure in fiction, who not only bestows wisdom and brings out courage in a young hero, but due to mystical intervention, is revealed to house a winding dungeon within his trunk. He is The Great Deku Tree from the video game The Legend of Zelda: Ocarina of Time and he is the one who sends Link off on his journey to rescue Hyrule. No finer sentient tree is so revered as The Great Deku Tree. He is imposing and powerful but wise and kind. This year will see a new addition to the trees of faunal hall of fame (and finally someone for Treebeard and The Ents of Lord of the Rings to wander around with), as Marvel brings everlasting space fighter and last of his species, Groot, from comic book to big screen in Guardians of the Galaxy. He may not be treehouse material but he does come with familiar forest wildlife in the form of his best friend and fellow space-pirate Rocket Raccoon. Who knows what future books and films will be turned into luxurious feats of architecture as imagination inspires more and more treehouses? Trees around the world have stood for hundreds of years and grown to astounding sizes. No matter how much we know of them, we are still fascinated by their enduring strength and wondrous heights. Given this, it is no surprise then that treehouses still fill us with wonderment and a sense of excitement, whether young or old.